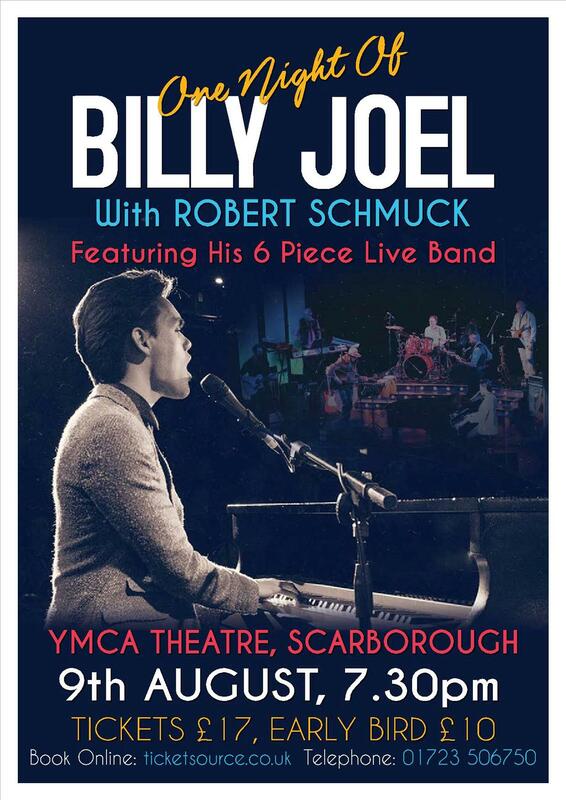 ONE NIGHT OF BILLY JOEL with ROBERT SCHMUCK - Featuring his 6 Piece Live Band! Featuring all of Billy Joel’s greatest hits, including Uptown Girl, Piano Man, Just The Way You Are, River of Dreams, Scenes From An Italian Restaurant, She’s Always A Woman, The Longest Time, We Didn’t Start The Fire and many more! ‘One Night of Billy Joel’ is a celebration of one of the world’s most successful recording artists. Robert Schmuck and his six-piece live band deliver an electrifying performance in a non-stop, hit-packed show, which promises to be a night like no other!